Objectives: Breast cancer is known as one of the most common women’s neoplasm. Diagnosis of cancer also it’s treatment leads to sexual dysfunction in women. Considering the high survival rates of breast cancer, attention to sexual function is very important as a domain in quality of life. Therefore, this research was conducted, aimed reviewing studies on women’s sexual function with FSFI(Female Sexual Function Index). 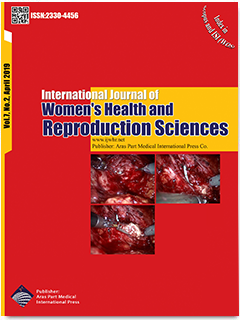 Materials & Methods: To review, PubMed, Web of Science, Scopus, and ProQuest databases were considered and Iranian studies of sexual function in breast cancer that were in Persian or English and used the FSFItool were selected. These studies were also evaluated methodologically. The keywords were "breast cancer" and "sexual function" and their synonyms. Results: At first 128 studies were identified. After reviewing the title, abstract, and quality assessment, 5 out of 128 studies which had inclusion criteria, were finallyselected. The rate of sexual dysfunction in survivors of breast cancer varied between 52.5% and 100%. Based ondomains of FSFI, lack of desire and lubrication dysfunction were the most common disorders, while satisfaction of sexual life obtained the highest score. Conclusion:, It is necessary to measure sexual dysfunction systemically, with an appropriate tool after cancer diagnosis and treatment.Effective interventions are necessary to improve sexual function.